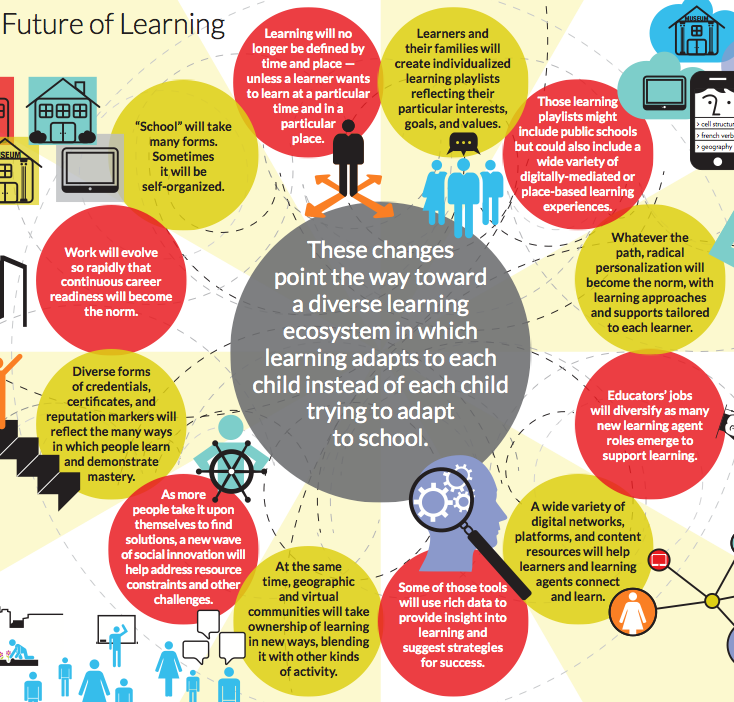 Education and learning could look radically different in the next few years. The education foundation KnowledgeWorks has released a forecast on the future of learning, focusing on ways that technology and new teaching strategies are shaking up traditional models. Check out this snapshot of an infographic the organization created to depict a learning ecosystem that includes whole communities in education. Make sure to check out the full infographic.